Five books covering Sandbach Flashes have been produced and the SECOS Recorder has produced an annual bird report from 1986 until 2010 and still produces an annual newsletter ready for the start of the new season. For many years the club has also produced an interesting and informative monthly newsletter. Ready for each indoor meeting, John Thompson produces an interesting and informative newsletter. Although we no longer produce the annual report for the whole SECOS recording are, John Thompson has produced a summary of the sightings received during the year. Although we no longer produce the annual report for the whole SECOS recording are, there are reports produced for various sites with the area. 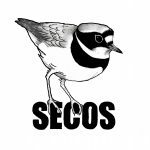 SECOS Recorder, Colin Lythgoe, has produced and annual bird report each from 1986 to 2010. Written by Society members Andrew Goodwin and Colin Lythgoe this book was published in September 2000. Written by the SECOS Recorder, Colin Lythgoe this book brings up to date the records for sightings during the previous 10 years. A paper written by R B Sibson detailing his observations between September 1935 and July 1939 and reproduced in the North Western Naturalist. We own around 30 books plus a few loose-leaf documents but are no longer able to display them. Details of the books and who holds them are displayed on the notice board at the back of the hall. If anybody is interested but can not get to Friday evening meetings then send me an e-mail and I will send the list to you. If you would like to borrow any of the books please contact the person who holds the book to arrange the loan. We’re delighted to say that the annual Bird Report for 2016 is now available.